By purchasing and/or using a Bolivia Hop travel pass you agree to be bound by the following terms and conditions. In these terms and conditions references to “you” or “your” mean the purchaser of the travel pass and/or the passenger using the travel pass as the case may be. References to “Bolivia Hop” or “our” mean Peru Hop SAC our legal entity. Bolivia Hop travel passes (Travel Passes) are valid for travel in one direction for the route stated on the Travel Pass. Bolivia Hop Travel Passes are non-transferable, however exceptions may be made. Ask us nicely and you might be able to transfer your pass if there is a good reason. Once booked all passes incur a minimum cancellation of 20% of the ticket price. Within 7 days of departure: 40% of the ticket price. Any cancellation or change request may only be made via email from the cardholder. For legal reasons phone calls or any other forms of communication can not be accepted as a valid cancellation or change request. Travel reservations are required on Bolivia Hop services and should be made at least 3 days before departure to ensure a seat on board your desired bus. Changes to reservations must be made at least 48 hours prior to departure.All reservations and changes must be made using our HOP LOGIN system where you can change all your bus schedules. 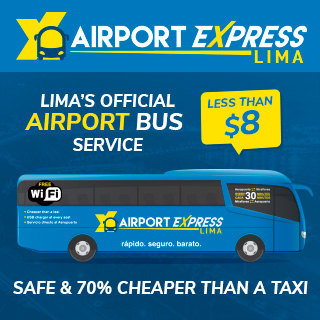 If you are booked on for 1 leg of the journey, and you miss this journey or cancel with less than 12 hours notice, we reserve the right to charge you a fee to reserve your seat on a following bus…this fee will be no more than $50usd. Your travel agent acts on your behalf and monies paid to your agent do not constitute a contract by description between you and Bolivia Hop. Your travel agent and Bolivia Hop are independent of each other. Receipt of monies by your agent must be forwarded to Bolivia Hop otherwise bookings will not be honoured. You should get verification from your travel agent that monies have been forwarded. No Shows: Should you fail to show for any booked and confirmed departure your Travel Pass will become invalid unless and until a USD$50 fee is paid to reinstate the Travel Pass. Pass Downgrades: If you buy a pass and then want to downgrade to a cheaper pass for some reason, refunds will depend on how much notice you give. If you do it BEFORE you start your trip, you will not incur any costs. If you do it during your trip, no refund will be possible as we have already reserved seats on later buses for you. Passport and visa requirements: It is your responsibility to ensure you are in compliance with all passport, visa and other immigration requirements applicable to your itinerary. For this purpose, you should confirm with the competent Embassies and/or Consulates well in advance of travel whether the destinations that you are visiting require a visa. It is important to remember to include all points in your journey since these may also require you to obtain a visa. We do not undertake any responsibility in case you are not allowed to enter Peru or Bolivia due to your non-compliance with any such requirements and we also undertake no responsibility for cases we provided any assistance or advice on this. It should be noted that the requirements for obtaining visas and entry formalities, vary from country to country and are subject to changes without any notice. For any information needed, you should contact the competent Embassies or Consulates of all countries listed in your itinerary.We advise you that your Passport is valid for at least six months after your scheduled return date, in order to avoid having identification or any other issues during your travel. Please, also note that, there are countries which require that the traveller’s passports expire at least 6-12 months after the time of arrival. 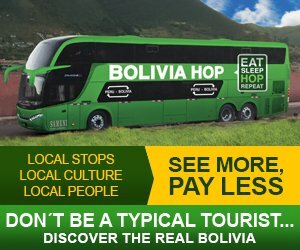 Bolivia Hop reserves the right to vary any fares, routes, overnight stops, pricing, inclusions, accommodation operators, departure dates, times and locations without notice. Bolivia Hop reserves the right to substitute other vehicles in place of our own. Bolivia Hop extra activities and advertised accommodation operators are not guaranteed and will be provided where possible. Bolivia Hop will endeavour to adhere to stated departure and arrival times but will not be liable for any failure to meet those times or for any cancellation or delay of Bolivia hop services. Don´t worry…we will always do our best to make sure you arrive on time. Bolivia Hop shall not be liable for any loss or damage of any kind, including indirect or consequential loss or damage, arising directly or indirectly out of a cancellation or abandonment of, or delay to, any trip, however caused. Bolivia Hop has preferred agreements with accommodation providers however we cannot always guarantee your first choice of accommodation. We always do our best though to ensure you sleep where you want to sleep. Bolivia Hop reserves the right to refuse to carry any passenger, luggage or goods at its sole discretion. Bolivia Hop will not be liable for the sickness of, injury to, or death of, any passenger, or the loss of, or damage to, any personal effects, whether caused by Bolivia Hop´s negligence or otherwise. There is no travel insurance cover included in the price of a Travel Pass and Bolivia Hop recommends that you obtain travel insurance to cover any sickness, injury, or loss that may occur while you are travelling with Bolivia Hop. You agree to indemnify Bolivia Hop against any loss, damage or expense suffered or incurred by Bolivia Hop, its officers, employees, agents or related companies as a result of any claim by any third party whose claim arises from your use of your Travel Pass or your acts or omissions while travelling on any Bolivia Hop service. Where the services of another operator are provided as part of the Travel Pass (such as hostel accommodation) it is agreed and understood that Bolivia Hop has no responsibility whatsoever for any default of that operator. Persons committing an illegal act or contravening Peruvian Health and Safety legislation (being a health danger to themselves or others) will be removed from the tour and no refund will be due. Passengers under 18 years must travel with their parent(s), spouse or guardian. There must be at least 1 parent, spouse or guardian for every 2 passengers under 18 years old. Proof of identification and age may be requested and failure to provide such proof may invalidate your Travel Pass. Disputes. Should you wish to raise any issues with your trip – please in the first instance advise your driver guide of your concern. If your issue is not resolved, please email info@boliviahop.com as soon as reasonably possible, and within 28 days to enable us to research your concern. We will not consider claims after 28 days. Please supply a postal address if you are emailing us so we can provide a written response. 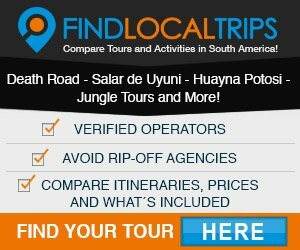 If you travel on Bolivia Hop you consent to us using images of you taken whole on your Bolivia Hop trip for advertising and promotional purposes worldwide, royalty-free in any medium. Make your mum proud and become a Bolivia Hop supermodel! Bolivia Hop may, at any time and without notice, vary any of these terms and conditions. Bolivia Hop will not be liable for breach of, or any failure to perform its obligations under, these terms and conditions where such breach or failure is caused by anything beyond Bolivia Hop´s reasonable control including, but not limited to, war, civil commotion, hostility, act of terrorism, strike, lockout, other industrial act, weather phenomena or other act of God, or governmental regulation or direction. Also, Bolivia Hop shall not be liable for any fortuitous event or force majeure, as provided in section 1315 of the Bolivian Civil Code. If any part of these terms and conditions is held to be invalid, unenforceable or illegal for any reason, they will be deemed to be amended by the addition or deletion of wording necessary to remove the invalid, unenforceable or illegal part, but otherwise to remain unchanged to the maximum extent permissible under applicable law. The legal relationship arising from this contract and every relationship arising between Bolivia Hop and their clients and / or users shall be governed and construed by the laws of the Republic of Bolivia. 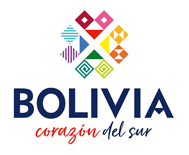 The service reserve of Bolivia Hop involves summiting themselves to these terms and conditions, the laws of the Republic of Bolivia and the competence of the police, judicial and administrative authorities of the Republic of Bolivia. Bolivia Hop Baggage disclaimer: You are advised to keep all VALUABLES, ELECTRONICS, IMPORTANT DOCUMENTS, MEDICATION AND MONEY either with you or in your carry-on baggage. Please also ensure that your belongings are packed suitably and, when required, in hard-shell cases. Never pack FRAGILE ITEMS in your checked baggage. While we will make every effort to ensure your baggage is handled with care, a bag’s journey through the system is unavoidably harsh. As such, Bolivia Hop’s liability for loss or delay of, or damage to baggage, is limited under the terms and conditions as set out above.